A new study has found that despite the low numbers of women in top boardroom positions, women are perfectly suited to leadership. 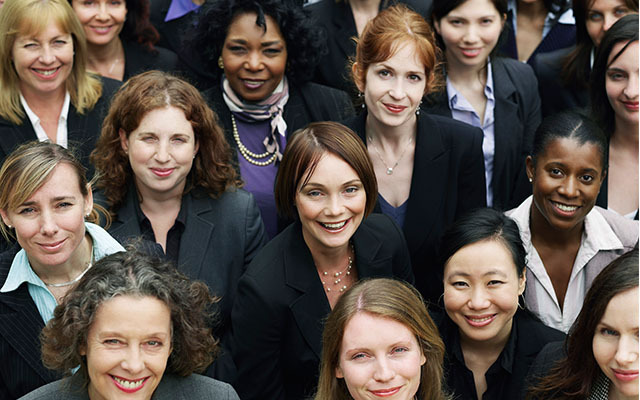 During the study, the researchers from Concordia University examined gender leadership styles, leadership viewpoints and the challenges that are faced by women in the workforce. According to their findings, “transformational leadership” was the most ideal leadership style, with researchers stating that this type of leadership is “most often associated with women”. The researchers also found that “certain behavioural traits found in female managers are considered to be more effective when dealing with employees, such as empathy, supportiveness, and relationship building”. Speaking about the findings, research leader Steven Appelbaum, Professor of Management at the John Molson School of Business, said that women still tend to be seen as inferior leaders, even though they often have qualities that make excellent leaders and managers. “This ill-conceived notion needs to change – and fast. At the current rate, we won’t see gender equality in the boardroom until 2081,” he said. Factors that hold women back from leadership positions, according to the study, include poor evaluation systems; outdated stereotypes and an office culture that doesn’t allow for a work-life balance. Speaking about the issue of women and leadership, Froswa Booker-Drew, PhD candidate in Leadership and Change at Antioch University, said that it is important that females move into leadership positions early in their lives, such as in school and university. “I think the challenge is helping women to begin to see other career options beyond service that they can move into and at the same time, develop leadership skills,” she said. “It is important to encourage young women in college to assume leadership roles on campus. As soon as I started college, I ran for dorm president and won. It was from there I assumed a series of roles that not only built my understanding of leadership, but more importantly, how to connect with others so that they would be willing to follow,” she added. Booker-Drew also points out that families need to encourage girls to see themselves as leaders. “As a mother of a daughter, I think leadership begins at home. I am raising my daughter to see herself not as unequal and inadequate but with talents that the world needs,” she said. “There are so many variables involved and my daughter is fortunate to see a mother who is pursuing her dreams and obtaining a terminal degree, and yet, she is still bombarded with images on television of women who do not demonstrate leadership,” she added. “Shows like Bad Girls Club, the Housewives series and others tend to show very few women that are in leadership roles. “The saying is true, ‘If you can see it, you can believe it.’ Our young women don’t see it on television or even in their everyday realities. We have to change that. “We suggest that the take-home message should be that leaders are “made” not born. “With time and effort, leadership ability can be improved,” she added. To read a longer version of this story, visit informED, or if you want to learn more about gender equality, see Open Colleges latest study. Open Colleges offers a range of leadership and management courses designed to give you the skills and knowledge to lead a team, manage a business and get ahead in your career. To help you get a leadership head-start we’ve also created a Leadership eBook.